Included in both of these snow throwers is a new mechanical clutch which mounts on the front of the Kohler engine. Because of the interchangeability with Briggs & Stratton units, you will have extra pieces left over. 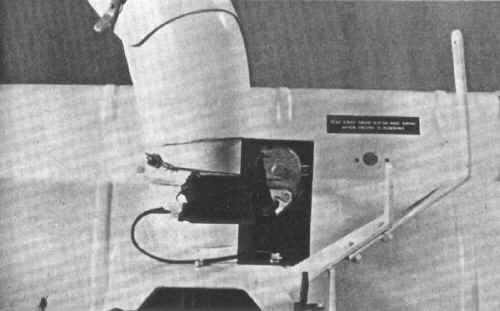 The clutch is activated by a control lever which is to be mounted in the console area opposite the center PTO control. 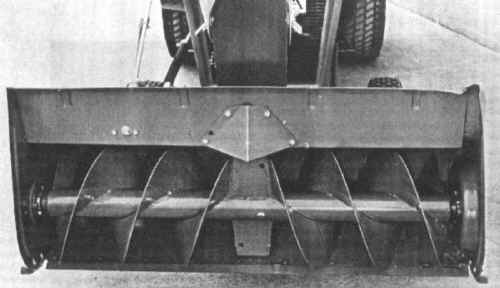 The snow throwers themselves attach to the front axle and easily follow the ground contours. For best performance, be sure to adjust the two skid shoes to meet the condition the unit is being used in. Rear wheel weights and chains are recommended. This unit is an option for the 700 series snow throwers. It mounts on the unit by replacing the long "twist type" control lever. An electric switch is then mounted on the tractor dash so that by the flip of this switch you can control the rotation of the spout.